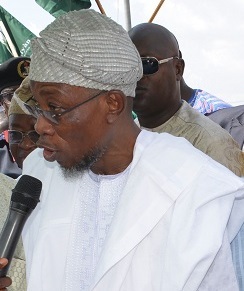 The Governor of Osun, Ogbeni Rauf Aregbesola and his Oyo State counterpart, Senator Abiola Ajimobi have urged Nigerians to see agriculture as a better alternative to oil in the resuscitation of the country's ailing economy. The Governors stated this in their separate speeches during the seventh Annual Lecture of Nigeria Association of Muslim Law Students of Obafemi Awolowo University, Ile-Ife, Osun. The duo noted that agriculture remains the largest employer of labour hence the need for individuals and government at all levels to encourage agriculture in a bid to revamp the dwindling economic fortune of Nigeria. Aregbesola said since oil has been selling for less than $40 for the past months, it is quite predictable that the figures for November, when it is ready, would have dropped again. The Governor comparing the present situation when Osun collected N55.8 million to 2013 when the average money distributed to states from the federation accounts was in excess of N800 billion, said Osun’s average allocation then was N3.6 billion. According to him, "While our monthly wage bill is N3.6billion, the highest amount we have received this year alone was N2.1 billion. 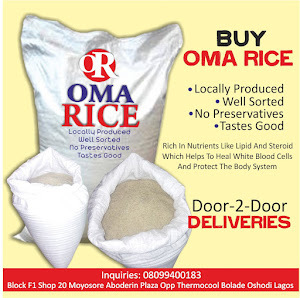 It went as low as N466 million in April while the figure for September was N55 million. Governor Ajimobi who was the Guest Speaker spoke on a topic titled "State Financing and Over-dependence on Oil: Issues and challenges" identified a number of factors responsible for the on-going financial crisis in the country. He called for true federalism as being practiced in advanced countries of the world, saying it is abnormal in any true federalism for any tier to be financially incapacitated as being experienced in the country. Ajimobi stated that out of the 36 states in the federal structure, not as many as five could survive without federal allocation, saying apart from Rivers, Lagos, Enugu, Delta, Katsina, Akwa Ibom, Ebonyi and Bayelsa State, which have tried to balance their budgets since creation, all the other States have had to depend more on Federal Government for survival. He said, "Ordinarily, states are supposed to make use of their Internally Generated Revenue (IGR) for recurrent expenditure while statutory allocations are to take care of capital expenditure; but the reverse is pathetically the case currently. "The current scenario whereby IGR and statutory allocation combined are not sufficiently for states to meet their financial obligations is indeed unfortunate. This has resorted to a situation whereby most states cannot generate the required funds needed to pay workers' salaries. "Government at the centre is currently assigned 52.68 percent of Federation Account revenues, including 7.5 percent of the account originally earmarked for "Special" projects like the development of the Federal Capital Territory and the amelioration of national ecological emergencies. "The state and the localities, on the other hand, respectively get 26.72 and 20.60 percent of Federation Account revenues. Nonetheless, over-dependence on oil has made nonsense of this Allocation Formula and what is allocated to each tier except the Federal Government. "The problem of this heavy dependence on the oil sector, started as far back as 1992 when global crude oil prices started fluctuating from $18.4 to $61 per barrel in 2006 and reached $115.05 per barrel by June 2014. Beyond these latent facts, bureaucratic and political corruption combined have crippled a number of states financially" he lamented. Ajimobi said the agricultural sector that has been neglected for long on what he described as "black gold" should be revamped to enhance food security, reduce importation of food items and engage able-bodied citizens who are presently either out rightly unemployed or under-employed. He implored the students to imbibe the spirit of positive leadership qualities by joining the train of development as they explore technology positively to advance in the current and future world. I appreciate you sharing this blog article. I learned a lot from the previous parts and with this part, I didn't learn much at all. Much obliged.